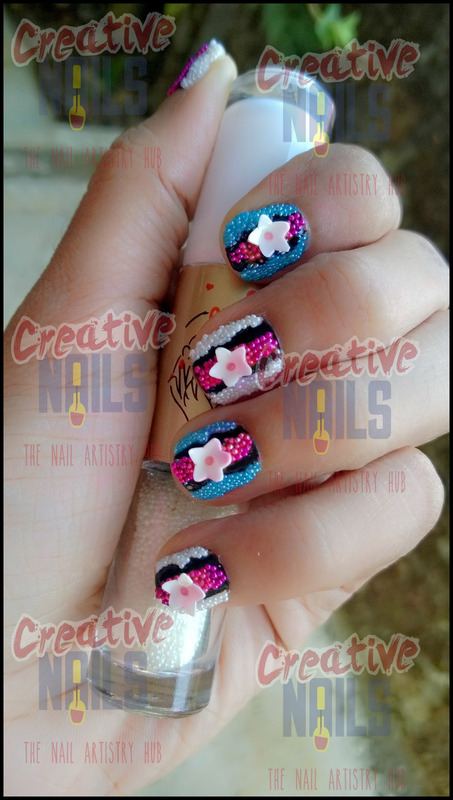 Flower on Beads Nail Art! Today Creative Nails tried something new. We thought of decorating nails with beads and 3D nail art stickers. So we placed white flowers on a bed of colorful beads. ← Magnetic Nail Polish Nail Art!